Aleida's Hostal friendly bilingual staff is always available to help you in planning days fllled with unique Ecuadorian Culture. 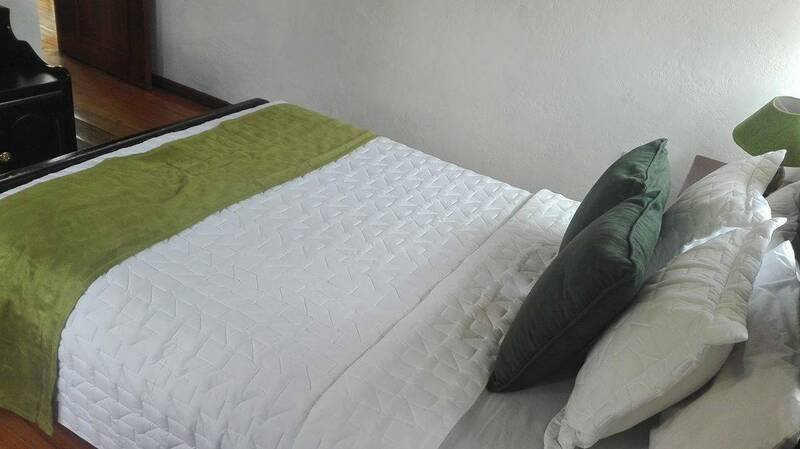 At Aleida's Hostal enjoy quite moments in the garden or by the cosy fire place. Choose a room with private bath or with shared bath. Free services include: unlimited fresh brewed coffee after your first cup, pure Filtered water, book exchange and more. 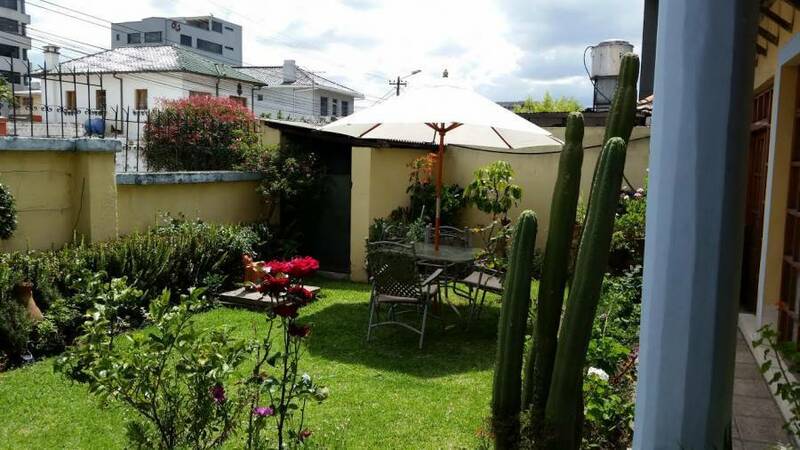 If you are student, teacher or academic who is coming for a long stay in Ecuador. 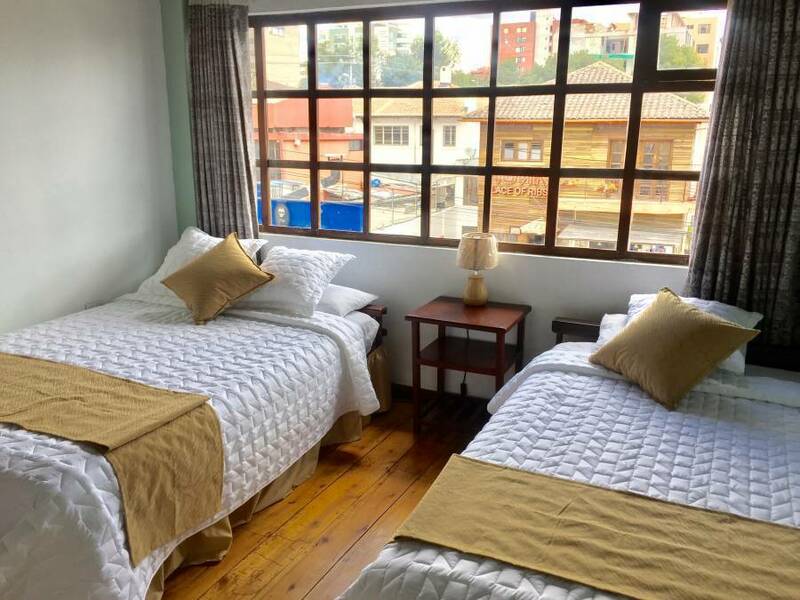 Aleida´s Hostal has especial rates: from $ 300. 00 up to $400. 00 a month including Tax. For the comfort of our guests Aleida´s Hostal has updated it´s internet service. Now you can work from your room with our Wireless Service. If you are student, teacher or academic who is coming for a long stay in Ecuador. 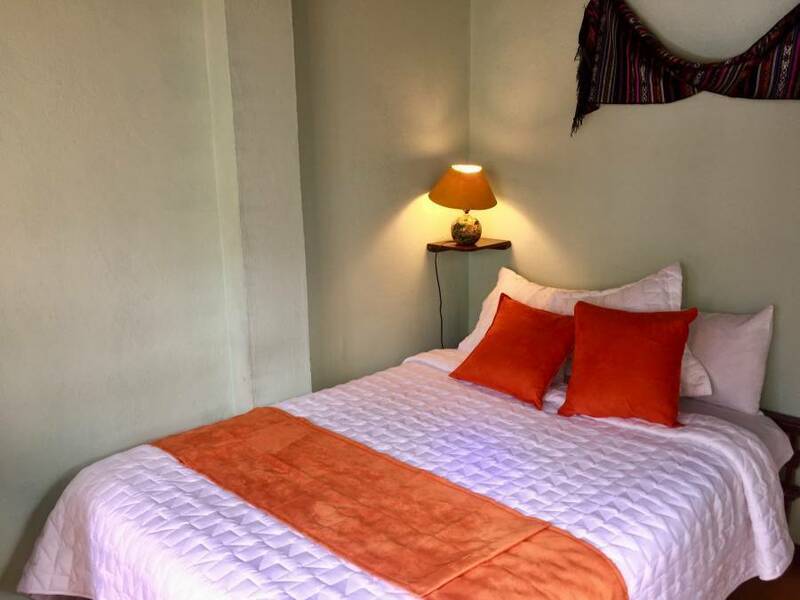 Aleida´s Hostal has especial rates: from $ 300. 00 up to $400, 00 a month including Tax. 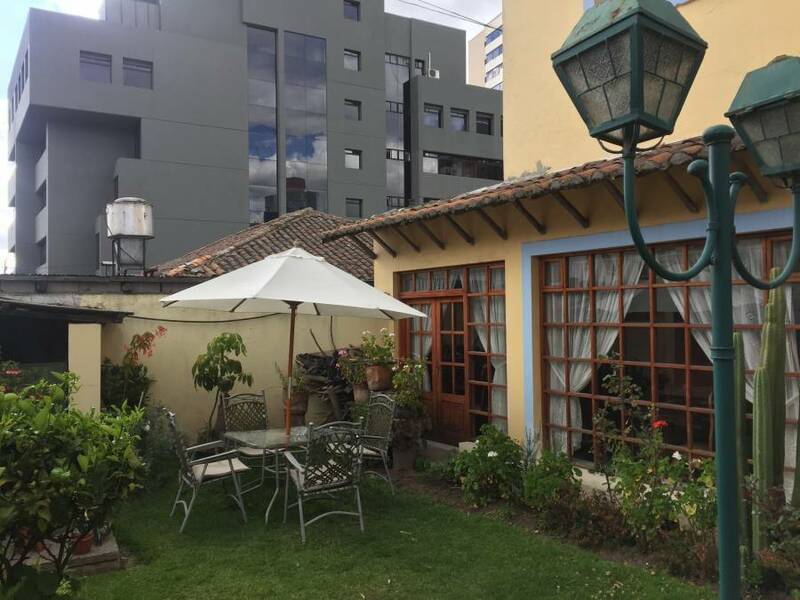 Aleida's Hostal is a newly restored gracious home in Quito's 5 star location, on a quite street with breath taking mountain views, close to shops, restaurants, clubs and transportation. Pobre Diablo (Quito´s Jazz Mecca) 2 mins. Bancos: Pichincha, Pacífico, Internacional, a 2 mins. Hoteles: Swissotel, Radisson, a 2 mins.